The Peloponnes Box contains all previously published Peloponnes Expansions in one box along with the brand new "Victoria" Expansion. 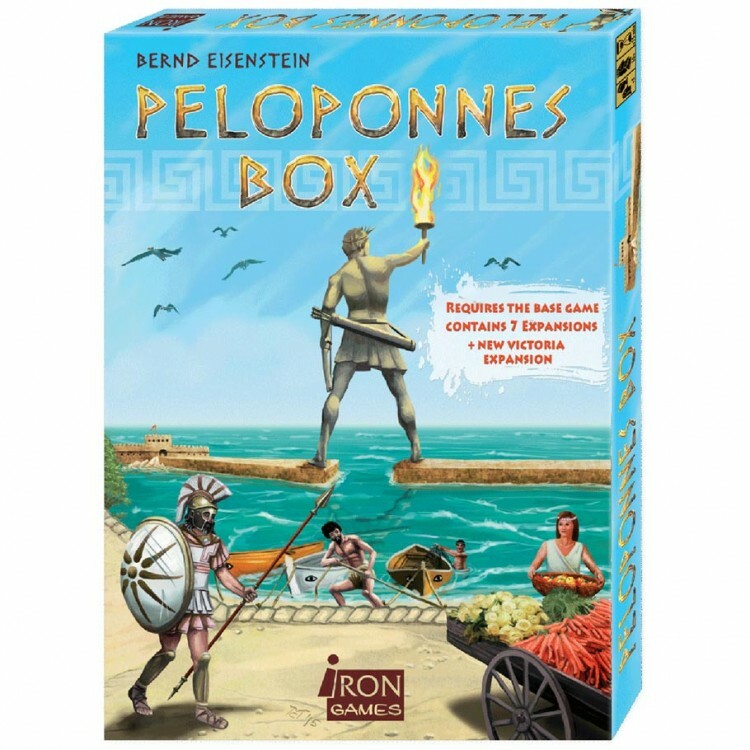 The Expansion Box adds up to 3 more players, that you can play Peloponnes with 8 players maximum. The new Victoria Expansion allows each player to purchase one additional tile during the game.